The study aims to discern how social networking sites have become an important tool in enabling immediate crisis communication. Juxtaposing theories on crisis and strategies of image restoration the paper aims to analyze the recent Maggi Crisis. The case study takes Twitter and Facebook as points of analysis. 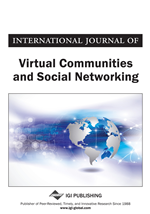 The paper observes that although social networking site facilitates immediate communication, it can cause a lot of damage to the reputation of the organization if utmost care is not taken in the message that goes out. The paper will further analyze the possibilities and limitations provided by social networking sites to the companies at the time of crisis. The paper concludes that damage control to a great extent could be exercised through adoption of apt strategies right away. The third crisis type, terrorism, refers to intentional actions designed to damage the reputation of an organization. External actors take the actions and therefore the blame also lies externally. According to Coombs, Victimage is an essential part of the reinforcing response strategies of the SCCT. The concept refers to a situation where the organization claims to be the victim of a crisis. Whether or not the claim is sincere is subordinate to the perception held by the stakeholders and media. (Liu, 2011) If they believe in the claim of innocence it becomes easier for the organization to carry out a victim-based, mortification response strategy and equally harder if the public dismisses the victim claim. According to Fediuk et al, transgressions are “crises that are believed to be due to intentional organizational misconduct”. What this means is that an organization knowingly commits a wrongdoing and therefore becomes the sole offender. Transgression-based crises are linked with negative perceptions held by stakeholders about an organization’s actions and behavior. These perceptions are what eventually harm the reputation of an organization. (Fediuk, 2010) Of the four types of crisis, transgression, if the evidence of the wrongdoing is true, requires the highest level of atonement. (Coombs T. W., 1995) While Faux Pas, Accidental and Terrorism can be said to be external crisis types, Transgression can be said to be internal crisis type, where the organization is at fault.